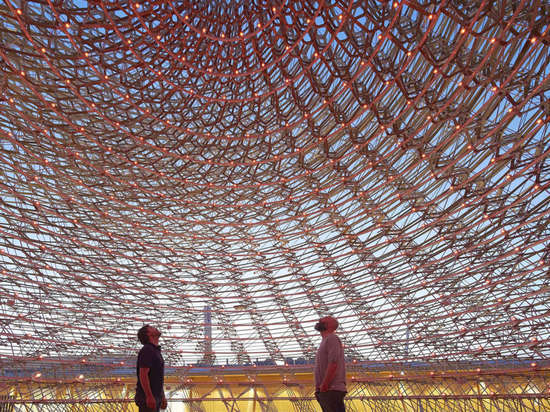 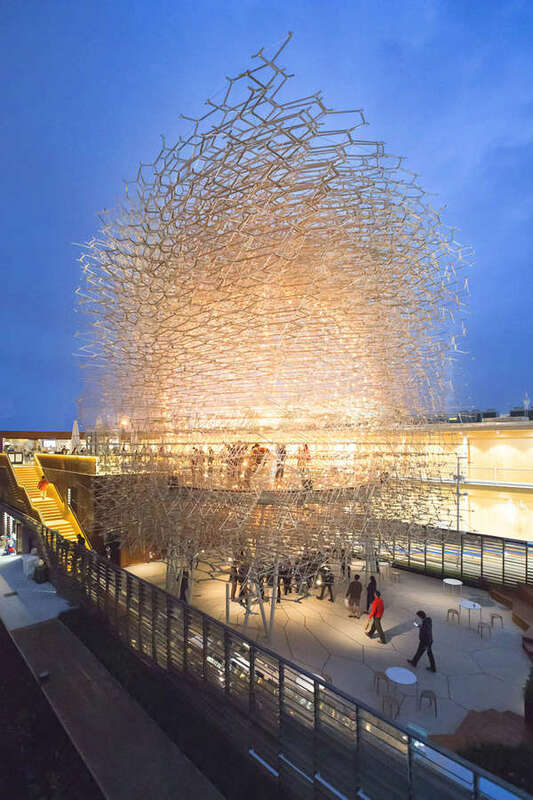 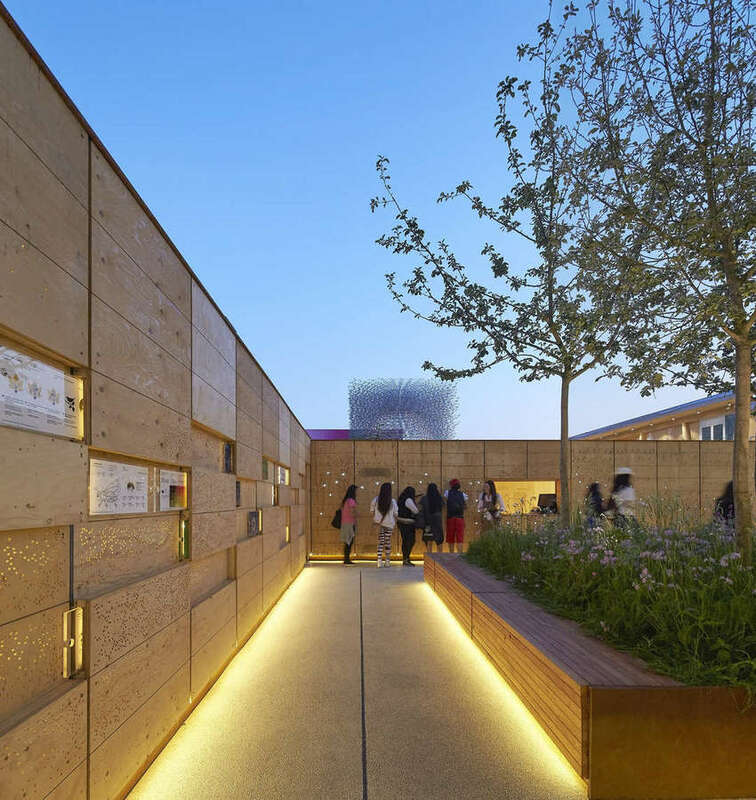 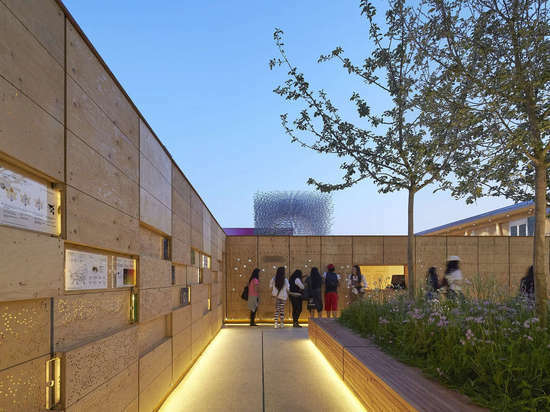 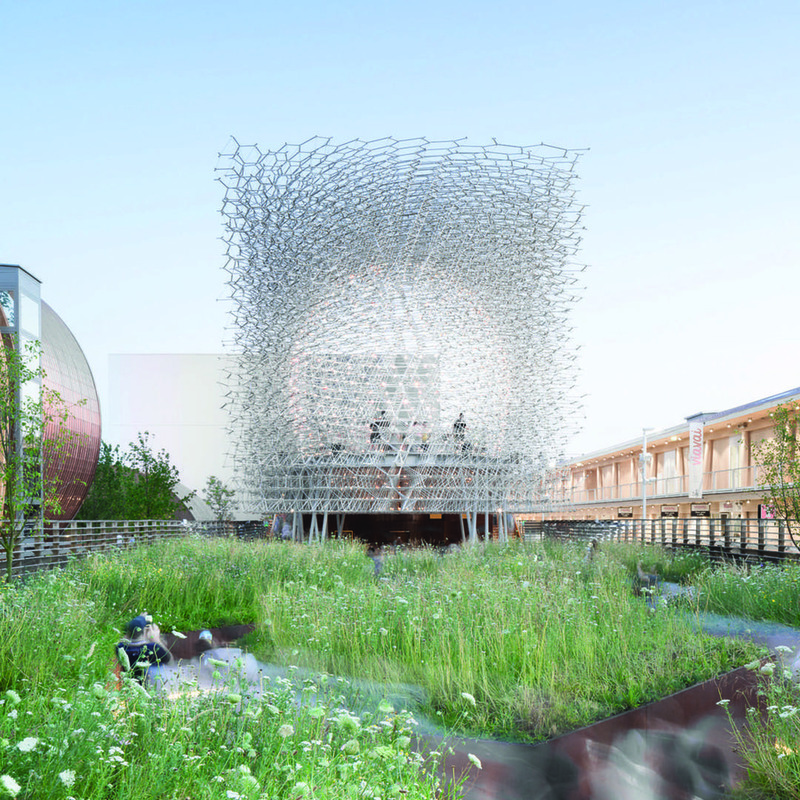 At the intersection between art and architecture, some unexpected moments of inspired design can emerge, and so it proved in Milan, Italy, this summer: in partnership with architectural firm BDP, artist Wolfgang Buttress has scooped the International Prize for Best Pavilion Architecture for his UK Pavilion at the 2015 World EXPO in Milan. 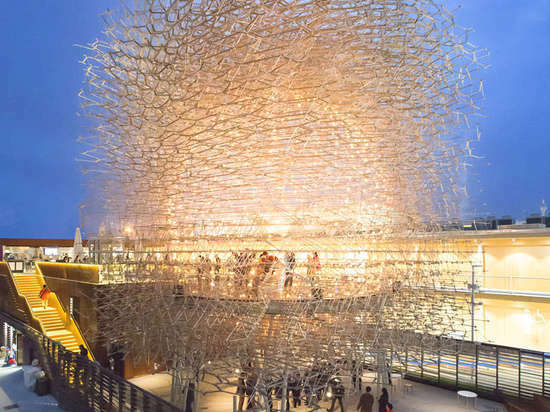 The structure is intimately connected to the event’s overarching theme, “Feeding the Planet: Energy for Life.” The primary sculpture is entitled The Hive and was conceived in close collaboration with bee-expert Doctor Martin Bencsik’s research on pollination and the collective dynamic of bees. 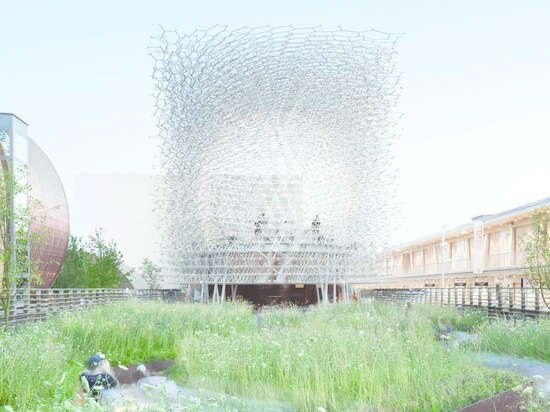 The 46-foot (14-meter) cuboid of interlaced aluminum elements is based on the structure of honeycomb, evoking the dense but permeable spatial qualities of beehives. 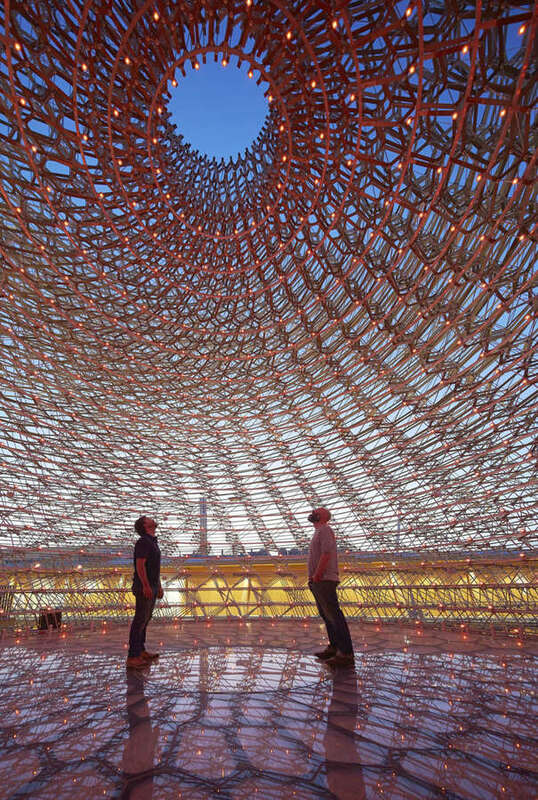 Wolfgang Buttress’s immersive installation is on show and accessible to the public until the finale of the EXPO at the end of this month.